"I'm feeling like I devoted 43 years of my life, I think I have a record of achievement with the National Park Service that at the end of the day doesn't matter and that I'm no longer wanted at Yellowstone National Park," he said. 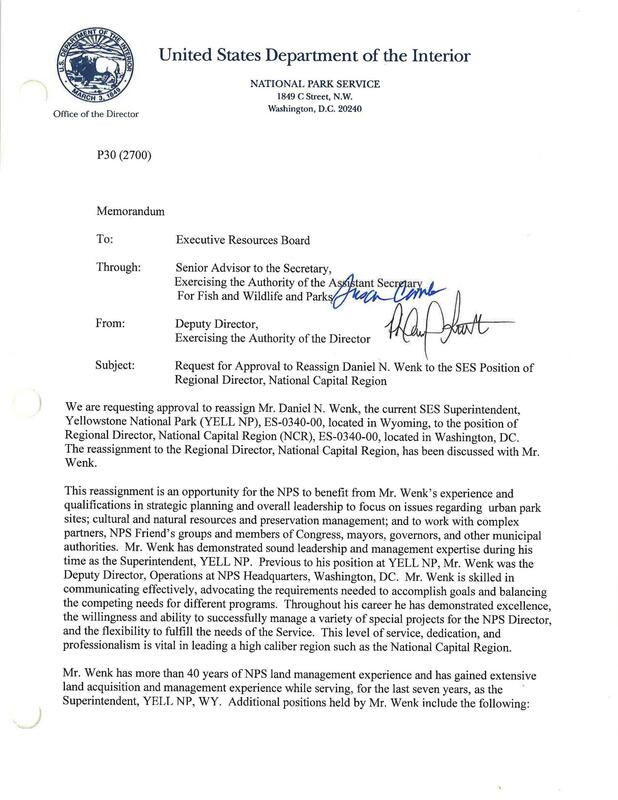 Wenk recently announced he would retire from running Yellowstone National Park in March 2019 instead of being reassigned to a new role in D.C. 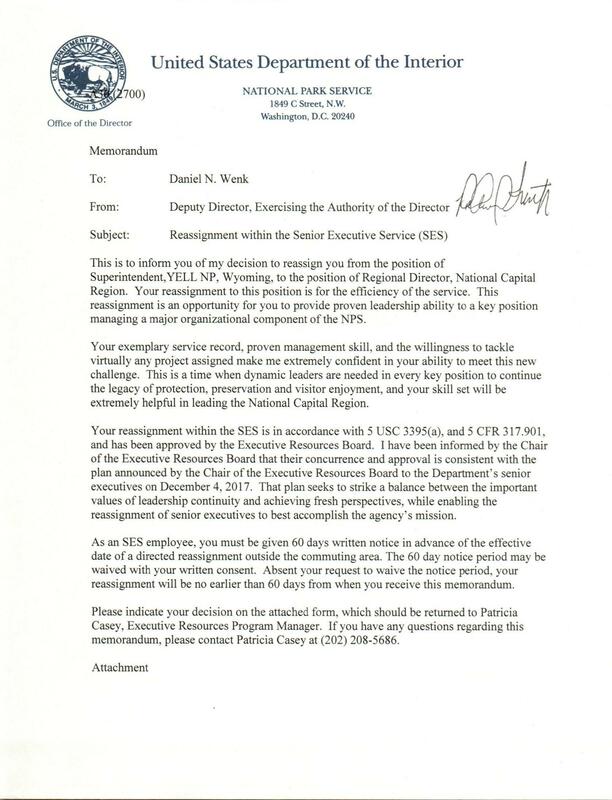 But then this week, he said the acting director of the National Park Service, P. Daniel Smith, gave him an ultimatum: take the new position in D.C. or retire early. "Even though I told them I was going to retire that seemed to not make a difference, so extremely disappointed is probably a mild way to explain it," he said. In fact, he said he feels abused. According to a recent report from the U.S. Interior Department's Office of Inspector General, some senior leaders within the Park Service feel they are being reshuffled for political or punitive reasons. This rings true for Steve Iobst. 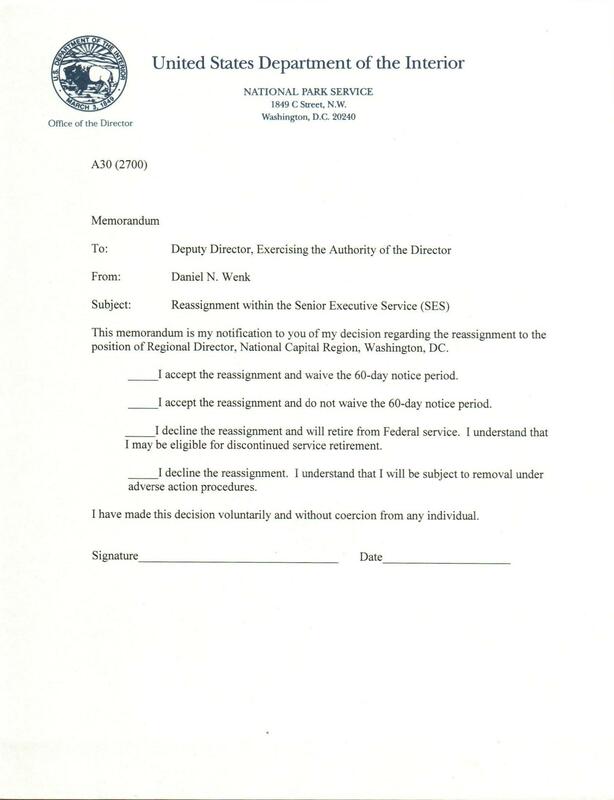 He's the former deputy superintendent of Yellowstone National Park and served under Wenk for years. "This just seems to be sudden," he said. 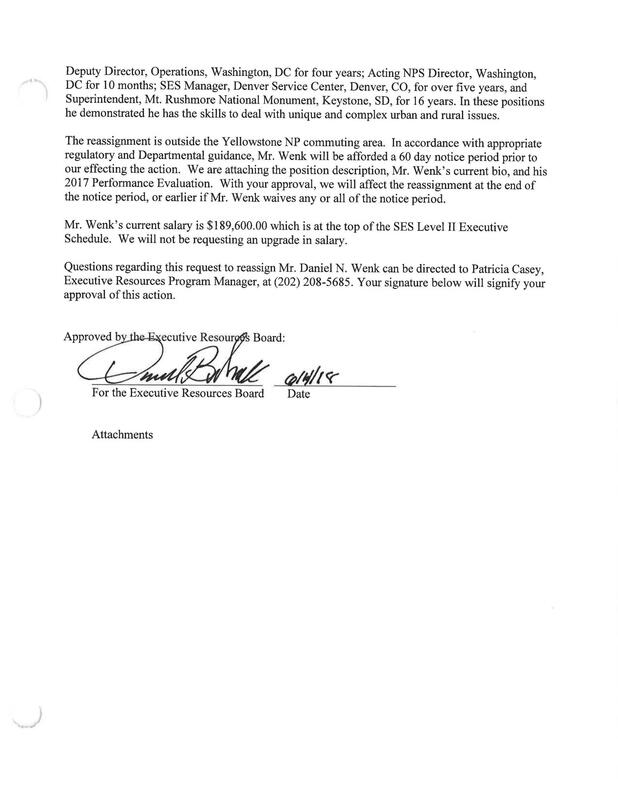 "It's not fair basically to the employees of Yellowstone." He speculates his former boss is being pushed out due to politics. Wenk was all about protecting and preserving the park. He was open to controlling visitation and Iobst said that ruffled feathers among some nearby businesses who make their money off the millions of people who visit Yellowstone each year. Iobst said Wenk was also planning to move some Yellowstone bison to northeastern Montana at the request of the Fort Peck Indian Reservation there. "I'm not sure if that rubs the current administration the wrong way, but certainly the transport of bison to reservations in Montana is not very well thought of by the ranching interests in the state of Montana," he said. Ranchers are concerned the bison could spread a disease called brucellosis to their cattle. 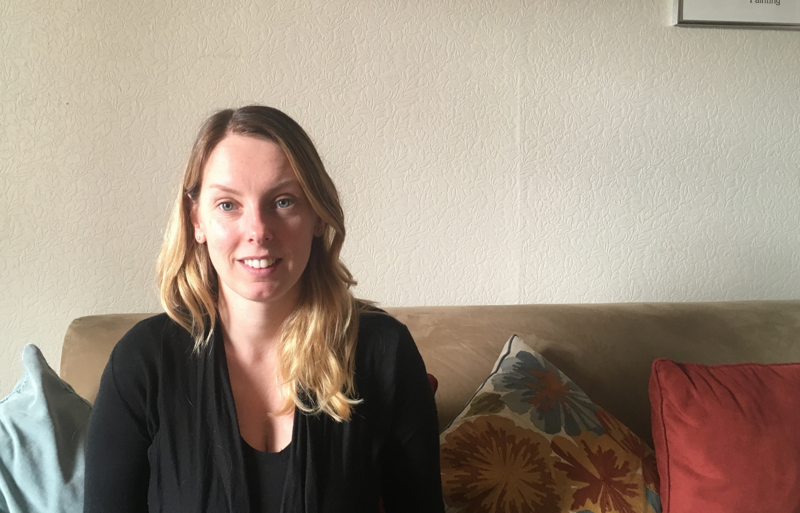 There's never been a documented case of that happening in the wild, but it's a real fear in the ranching community and Iobst said those ranching interests have the ear of Interior Secretary Ryan Zinke. 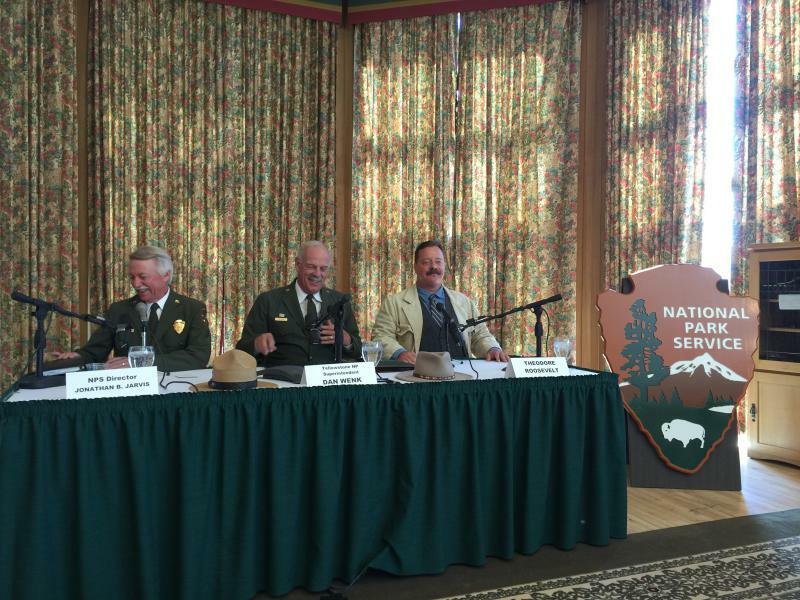 The Mountain West News Bureau's Nate Hegyi sat down with Yellowstone National Park superintendent Dan Wenk. They talked about a phone call he got this week from acting director of the National Park Service P. Daniel Smith. Superintendent Wenk acknowledges that he and Zinke have butted heads on bison management before, but he said, "I thought we were on track and I thought that he was very supportive of what we were doing and how we were doing it and that we were going to get it done." 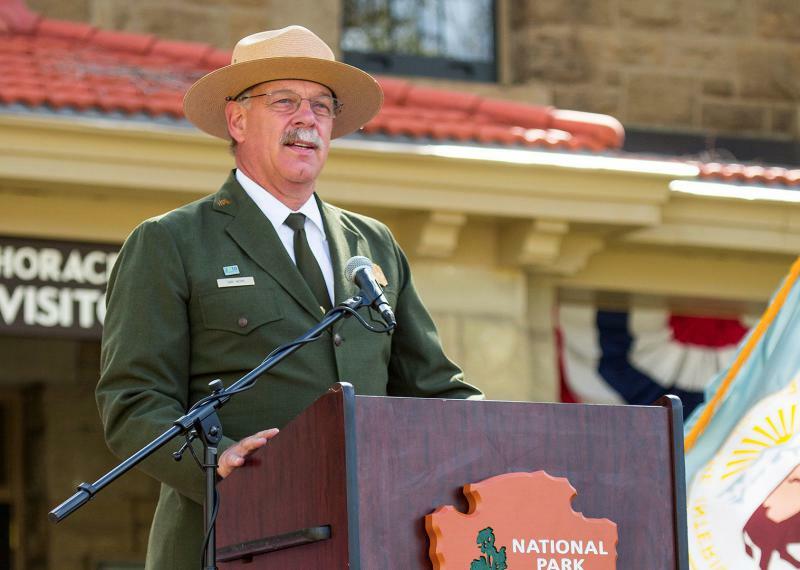 Reassignments and replacements among senior leaders within the Park Service is nothing new. Eric Austin is a political scientist who specializes in bureaucracy, public lands and natural resources. He said things are different under the Trump administration. "This situation is unique," he said. He said Trump's Interior Secretary, Ryan Zinke, runs his department like the former special forces commander he used to be. "There is a pretty strong, almost militaristic hierarchy that seems to be in place that's kind of tinged by the expectation of loyalty associated with it," he said. That expectation of loyalty is something Wenk is familiar with. He said he's heard Zinke talk about employees not being loyal to the Interior Department. But Wenk also said that loyalty is a two-way street. "And I'm not feeling like there's any loyalty to professionals within the National Park Service who have devoted their careers and we don't even warrant a discussion in terms of why we're doing this and what's going on," he said. Interior Secretary Ryan Zinke's office did not respond with a comment for this story but in a letter obtained by the Mountain West News Bureau, Interior Department officials said they are re-assigning Wenk to oversee National Parks in the D.C. metro area. They said he has experience and leadership skills to manage urban parks and to work with lawmakers. Wenk said he doesn't know if he'll take the job or retire early. He said this late in his career, it doesn't make sense to relocate to D.C. for the last few months of his service. He said he will be replaced at Yellowstone by Cameron Sholly, who is currently the head of the National Park Service's Omaha office.